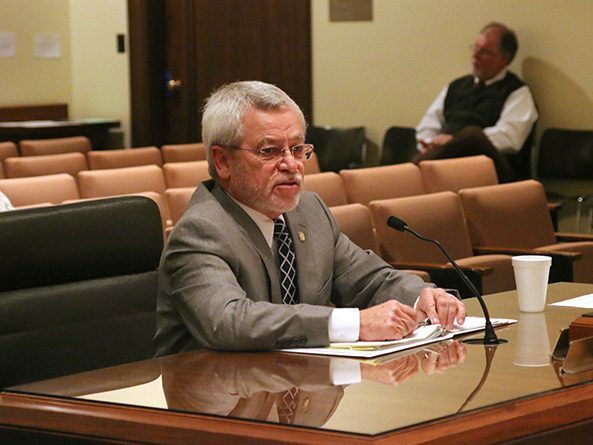 A program that provides aid to teachers who complete a credentialing program would be terminated by a bill heard by the Education Committee Jan. 31. 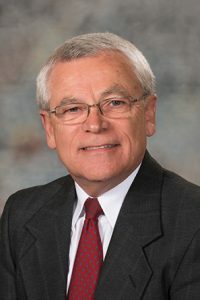 Introduced by Sen. Steve Halloran of Hastings, LB214 would end the master teacher program, which provides aid to students seeking a National Board for Professional Teaching Standards credential. Teachers who apply for the program are eligible to receive an award amounting to 50 percent of the registration fees. They may apply for an award to receive the other half of the fees after completing the program. After fees are reimbursed, the remainder of the fund is used to pay a $5,000 salary bonus to teachers who have the credential. The Legislature appropriated $500,000 to the program in fiscal year 2015-16 and again in FY2016-17. Halloran questioned the necessity of a state-sponsored bonus program for teachers when the state provides no similar assistance to other professions. Maddie Fennell, a board-certified Omaha Public Schools teacher, spoke in opposition to the bill. Fennell said she became board certified a few years ago, before the Legislature had appropriated money to the master teacher program. Without money from OPS and a federal grant, she said, she could not have afforded to pursue board certification. Fennell received a stipend under the program last year, she said. The rigorous certification process required Fennell to analyze her teaching methods and provide evidence that she understood the factors that lead to student success, she said — lessons she was able to pass on to other teachers.